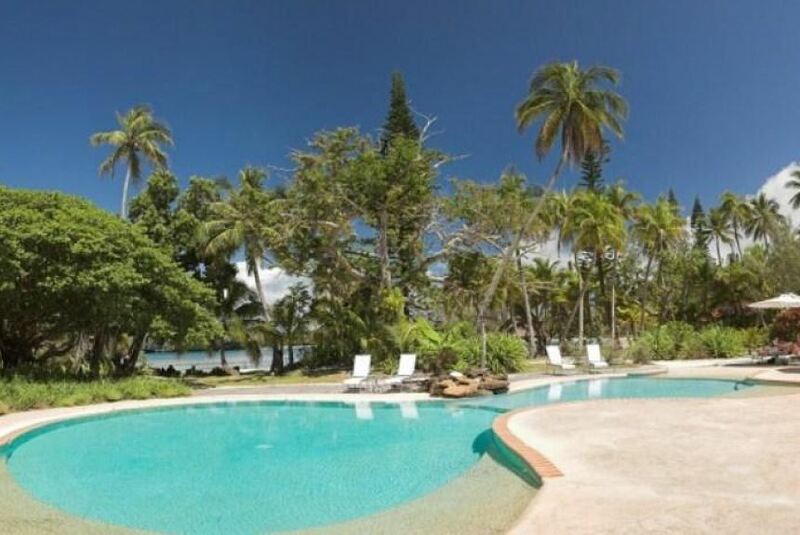 Located on New Caledonia's tropical Isle of Pines, Oure Tera Resort is 10 minutes' walk from Kuto Bay. It is 15 minutes' drive from Île des Pins Airport (Isle of Pines Airport). Guests have free use of kayaks and snorkeling gear. The tour desk books diving trips, visits to the natural swimming pool, island lunch tours and outrigger cruises. Activities such as stand-up paddle boarding, board games and French bowls is available. The bungalows and private rooms offer garden views, a flat-screen TV, a refrigerator and tea/coffee making facilities. Each has a bathroom with a shower, a hairdryer and free toiletries. Some accommodation is situated on the beachfront. Kanumera Restaurant offers dinners featuring fresh seafood.